Eating out in vegan Budapest is very cheap for people from Western Europe/ USA/ Canada/ Australia etc. Two people can happily stuff themselves for £20 - bear in mind Hungarian portions are often gigantic, luckily most places will let you take your leftovers home. Napfenyes Etterem is the best place to eat in Budapest if you want delicious, vegan, traditional-Hungarian food. 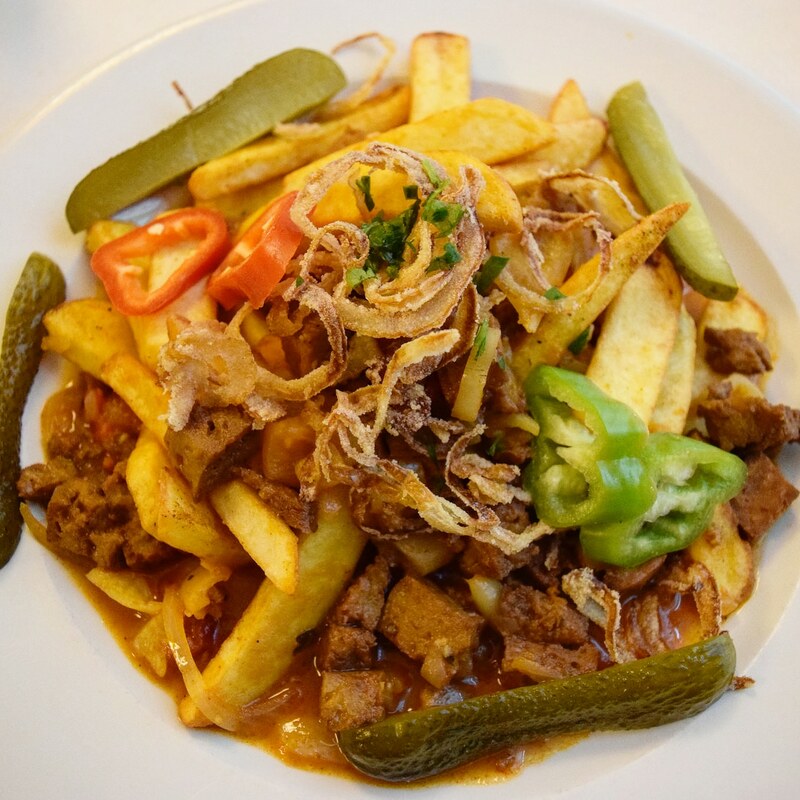 Even meat eaters agree this is one of the best Hungarian restaurants in Budapest. The staff are lovely and the food is beyond delicious. I highly recommend töltött káposzta - picked cabbage stuffed with rice, faux meats, paprika and other Hungarian favourites - it's one of my favourite meals on the planet. They also do amazing pizzas here, with fake cheese that tastes so real, you'll probably double check that it's not cow cheese (it really isn't I promise). The only things I don't really like here are the drinks (I had a shake once and it was too lumpy), and I'm not over-keen on the cakes (they're a bit bland). The prices are also quite high for Budapest, but completely justified and worth it - those main meals are so delicious, I would pay more for it, seriously. Of all the burgers I've had in my life (including the ones when I ate meat), this one is by far the most superior - Las Vegans is a semi-permanent food truck with a few locations across the city (probably the most important one to you is the one right next to Szimpla, the most popular tourist bar). They do lots of different types of burgers - carrot, deep fried 'cheese', soy, chickpea and more, but the one that made me go weak at the knees was the mushroom burger - my God it was good! 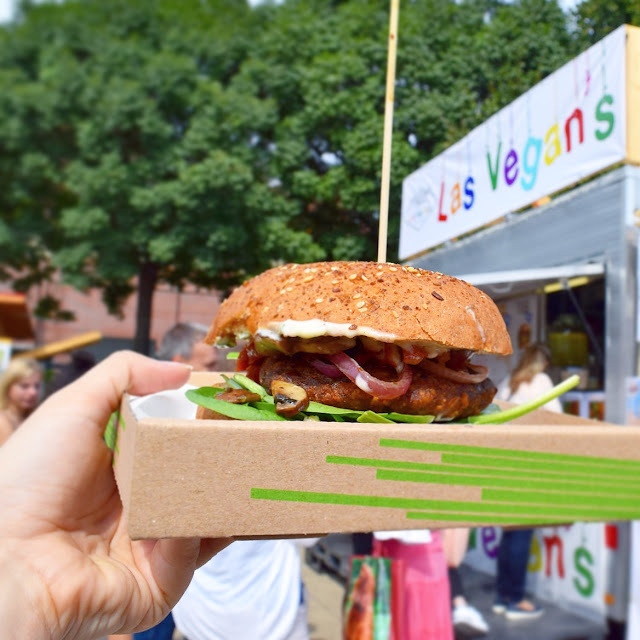 The only problem is, I had that mushroom burger at their temporary stall at a vegan Budapest festival. Since then I've visited two of their semi-permanent stalls and not found the mushroom burger again :( I have tried their deep fried cheese and carrot burgers too. They're also great, but nothing compared to that mushroom one. UPDATE: the mushroom one can now be found at their permanent locations!!! 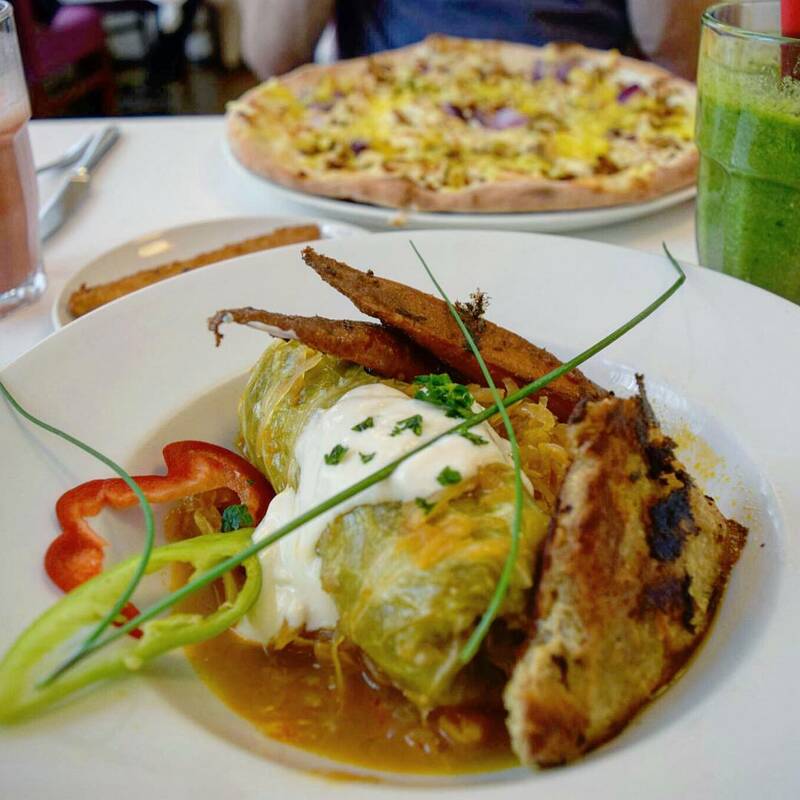 Vegan Love isn't all about Mexican food, they also do burgers, hot dogs and more, but when it comes to the best Mexican food (or rather Tex-Mex) in Budapest, they are the place to go. I had the best burrito here, super yummy! Their trucks don't always take a card which is annoying, but they have a permanent shop too which does. I love the pizzas at Napfenyes Etterem, but Vegazzi does really great pizzas too. I really recommend their Lecsós pizza: Lecsós is a traditional Hungarian dish of onion, pepper, paprika and more. The only thing I don't really like about Vegazzi is the pizzas are a little on the dry side - something a bit of olive oil could cure. 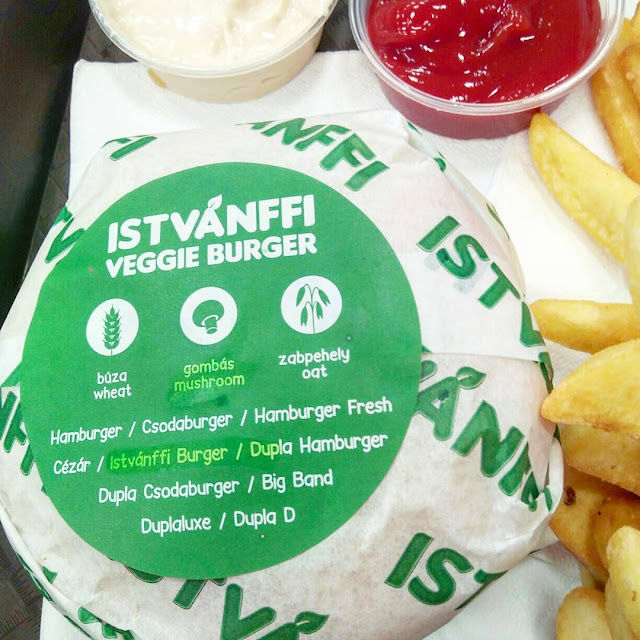 Don't be put off by Istvanffi's unnecessarily complicated menu (basically, all of the options are the same, just some come with an extra burger or gherkins or onions). 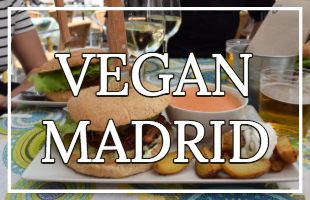 I was really pleasantly surprised by the quality of the food here, it may try and dress up like a vegan junk food restaurant, but I'm not fooled! The food is too good to be classed as junk food, in my opinion. The burgers are really tasty, as are the fries and the grapefruit juice was freshly squeezed with no sugar! The cups came in non-plastic cups too which was really cool to see, the only downside I could find about Istvanffi's was that their sauces (ketchup, almond mayo etc) come in plastic pots. Normally this wouldn't be that big of a deal, but they gave me high expectations with the non-plastic cups. Oh and another thing - why aren't they called Mockdonalds? All jokes aside, this place is really cool and I love it. Perfect for when you want that 'junk-food' kick. If you're looking for 'cheese' in Budapest that smells good, looks authentic and tastes great head on over to Say Cheez. Their cheeses are made from cashews and their presentation is impeccable. 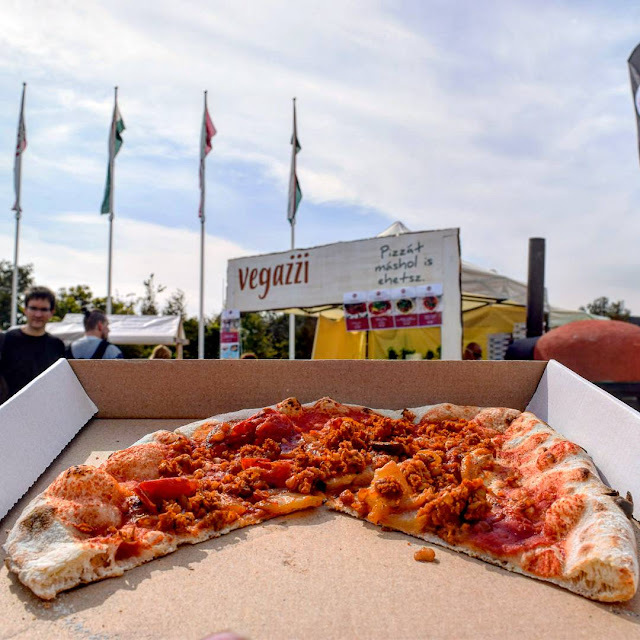 Make sure you go for one of the spicy ones or the garlic one or, my favourite, the charcoal one - these vegan cheeses are super tasty and well worth the high prices. 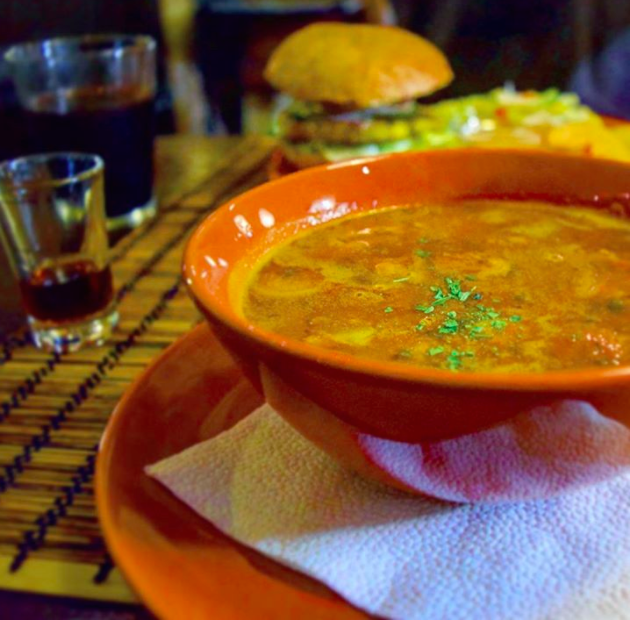 Goulash is Hungary's national dish: stew consisting of meat, vegetables and paprika. Obviously, it's not vegan, but luckily Kozmosz does their own version. 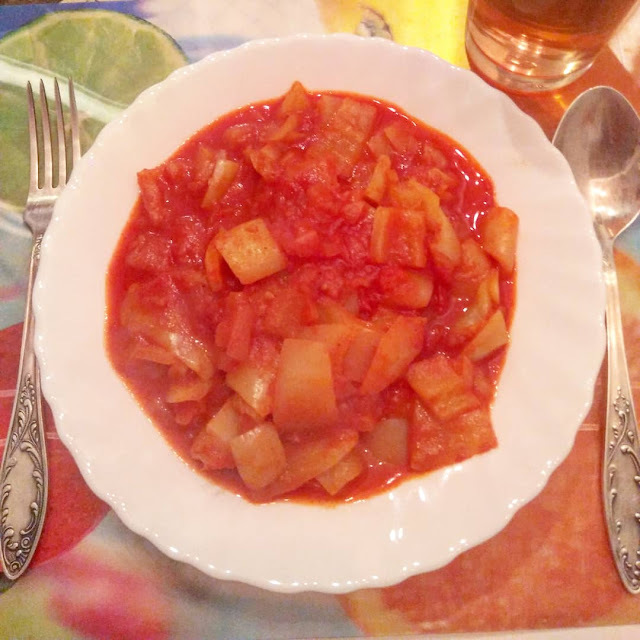 I'm not going to lie it wasn't the nicest thing I've ever eaten - I'm not sure if that's because of Kozmosz or if it's because I wouldn't like any goulash. It wasn't bad or anything it just didn't blow me away. BUT I also had a burger there that was amazing. Lecsó is one of the most delicious meals I've had in my life and is generally vegan-friendly (and of course, a traditional Hungarian meal)! It's super simple to make - paprika (of course), peppers, onions and tomatoes. Just double check they haven't sneaked any pig juice into it. And extra points if you can get a Hungarian to make it for you (Timi, I love you). 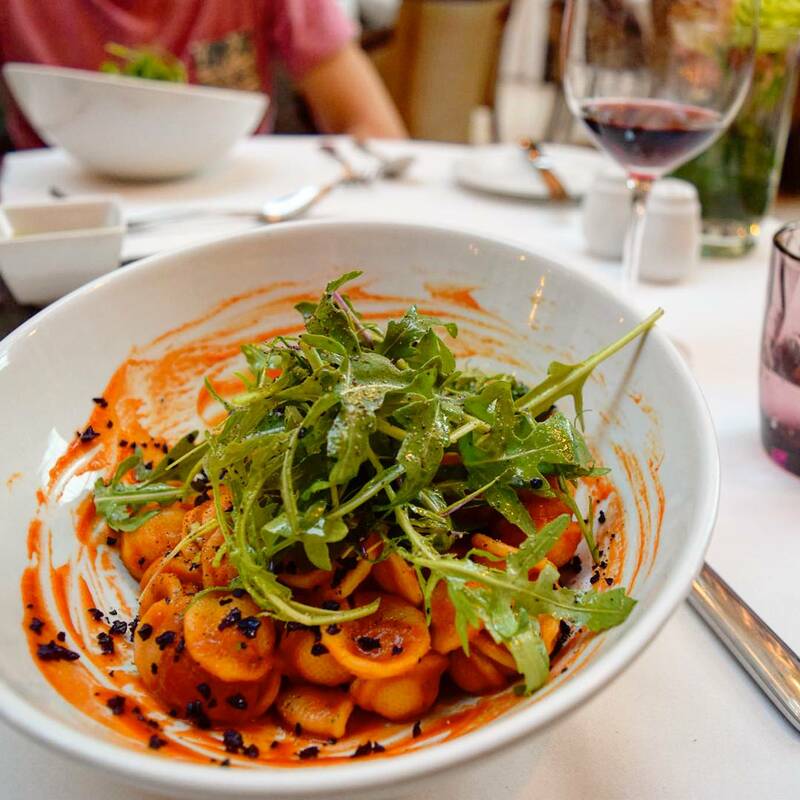 If you've got the money, and are looking for somewhere high class to eat in Budapest I HIGHLY recommend the Corinthia - their menu isn't vegan at all, but once we told them we wanted vegan Budapest they pulled out all the stops and made us a five-course menu. Thus they are one of the best vegan friendly restaurants Budapest. Each course was delectable. Hummus Bar isn't exclusively vegan - in fact, it's not even exclusively vegetarian, but it gets a special mention because it's one of the many vegan friendly restaurants Budapest and it's hummus is so so so good and the falafel is the best in town. 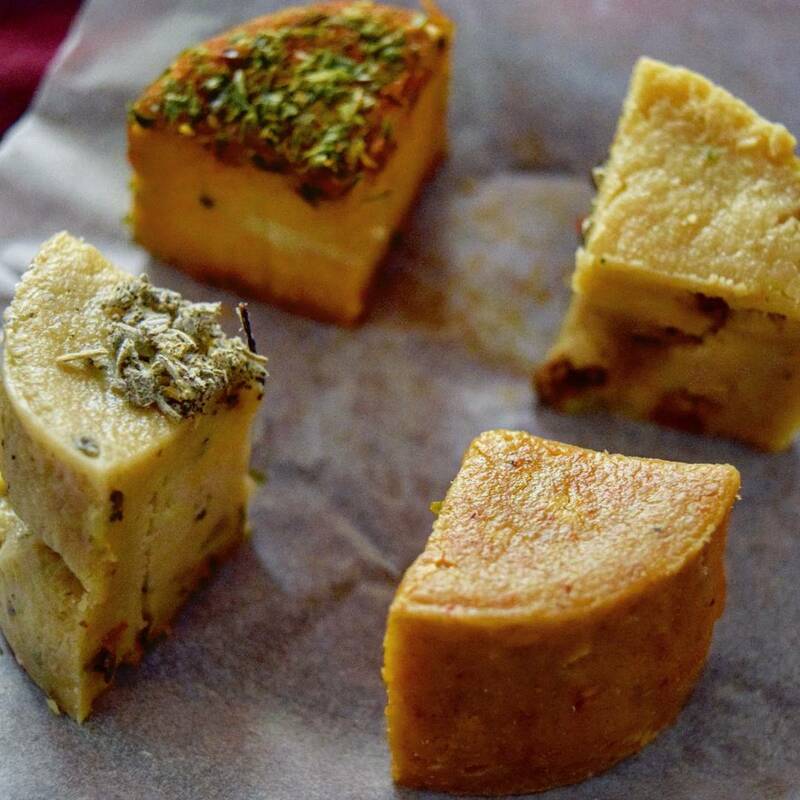 There are hummus bars all across the city, but they're not all created equal. We went to one near the Parliament which had rude staff and dry falafel. But we went to one on (very touristy) Kiraly Street and the staff were lovely and the food was great. Oh, hummus!! Recently I found out about Vegan Doboz (literally vegan box), a company that will send you monthly vegan treats straight to your door (they also make great gifts). 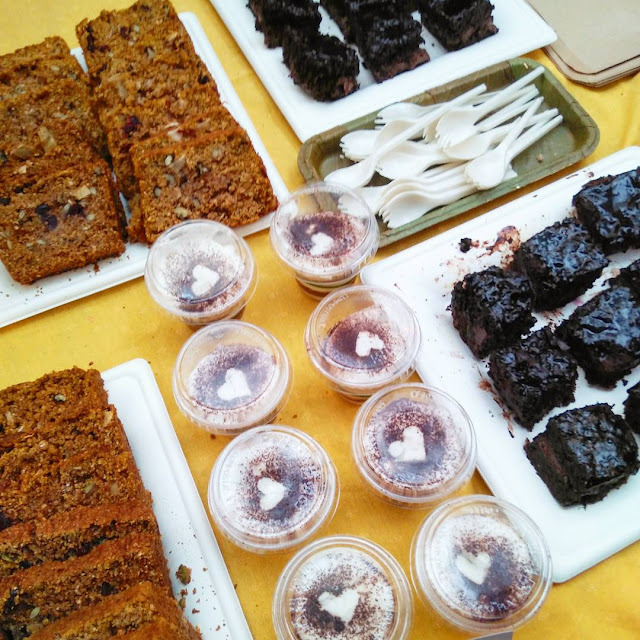 One Sunday of the month there's a vegan market in Budapest at Anker't. 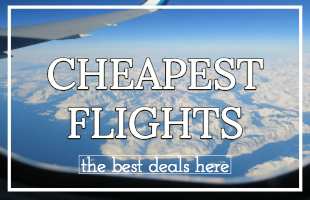 The foods are pricey, but you can try samples and find all of your favourites there. 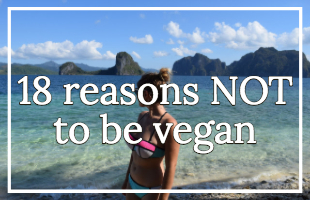 I go every month to get vegan cheese. Last, but not least, if you're staying long-term in Budapest and have access to a kitchen, you'll be looking to make some tasty vegan meals yourself. Nektár Biobolt is an awesome organic chain with small shops dotted all over the city. 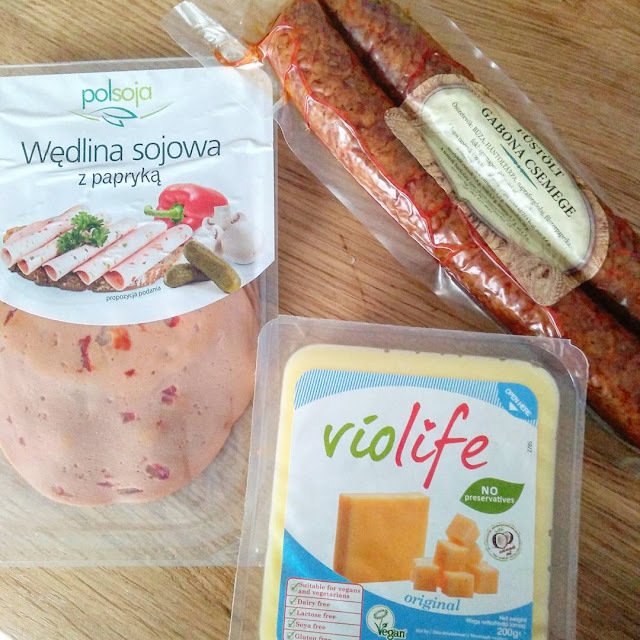 Here you can find vegan sausage, cheese, yoghurt, chocolate and more (bonus, everything is of course organic). Aldi is actually really great in Budapest - they stock super cheap (and organic!) 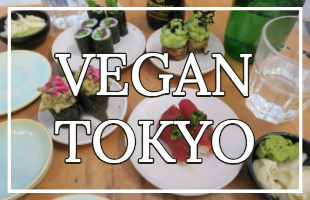 tofu, organic soy milk, almond milk, big tins of lentils and chickpeas, couscous, soy sauce and more. I go to Tesco very occasionally because it's the only place I've found peanut butter and baked beans (even though they're both super expensive). You can also find all the ingredients you need for vegan burritos. As for fruit and veg, there are awesome vegetable shops (or zöldségbolt) on pretty much every corner. The fruit and veg are local, very cheap and (mostly) really fresh - make sure you don't miss the peppers! So there you have it, plenty of cool places to eat in Budapest from the fancy to the fast food, from traditional Hungarian to Mexican, American and more. 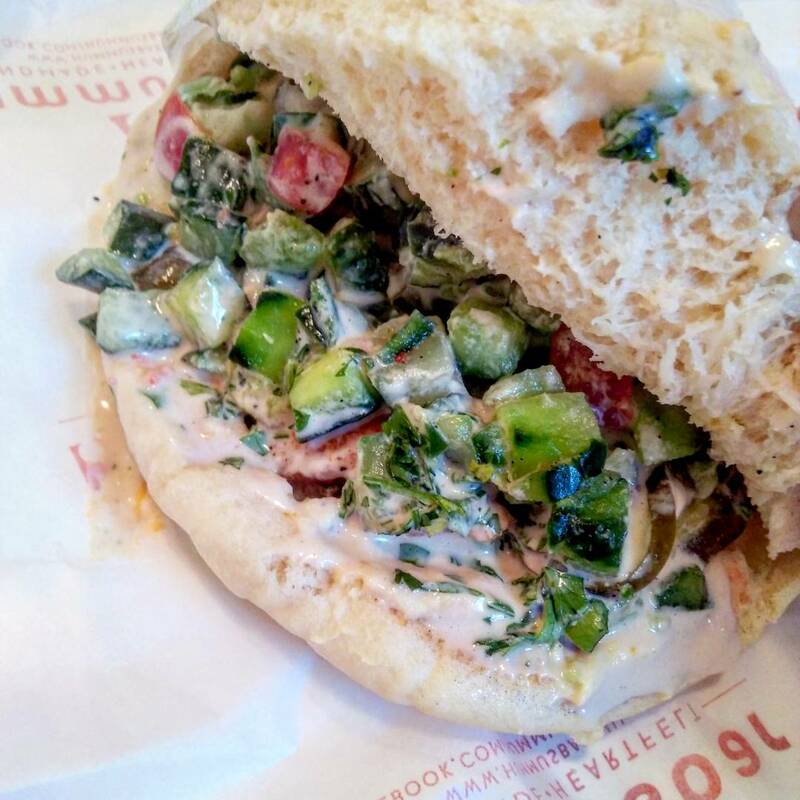 The food is one of the main reasons I love Budapest and I hope you do too! Let me know! And if you've got any places you think I must try, let me know - I'm always happy to try out new vegan Budapest places, especially Budapest vegan restaurants.